Since 1999 the Manchester Development Corporation has provided more than $2 million to develop projects in Manchester, leading to the retention and creation of hundreds of jobs and millions of dollars in economic activity. In 1999, MDC provided a $200,000 development loan for the rehabilitation of the Chase Block. The City of Manchester worked with MDC to leverage HUD Section 108 funding, CDBG funds and an EDA grant in order to complete the $3.7 million project. 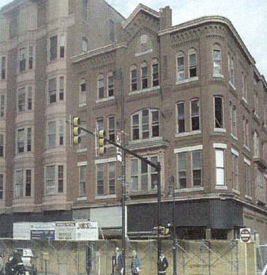 This property stood vacant after a fire in 1991 and the rehabilitation lead to the creation of more than 100 jobs in downtown Manchester and the revitalization of one of Manchester’s most historic downtown buildings. In 1986, MDC facilitated a $5.5 million federal Urban Development Grant to support development of Wall St Towers. A 2009 refinancing agreement brought $1.6 million in cash to MDC and $1.6 million to the City, along with $4.5 million in improvements to the building. 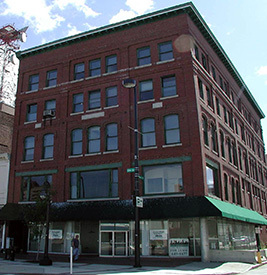 In 2003, MDC provided a $250,000 loan for the rehabilitation of the McQuades Building. 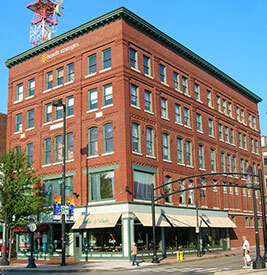 In 2004, MDC invested $450,000 into the rehabilitation of the Dunlap Building, a 5-story 22,000 sq ft building located in downtown Manchester. The renovation provided the space necessary for Benefit Strategies, an employee-benefit administration company, to relocate their main headquarters from Bedford, NH to Manchester, NH. In 2010, MDC provided a $500,000 loan for the expansion of Benefit Strategies into 971 Elm St. The expansion included adding three-stories to the current one-story building, increasing the square footage from 4,000 sq ft to more than 20,000 sq ft. The expansion allowed Benefit Strategies to continue their growth, adding 40-50 jobs, and continue operating their headquarters in downtown Manchester. In 2012, MDC provided a $500,000 Development Loan to Germania Front. 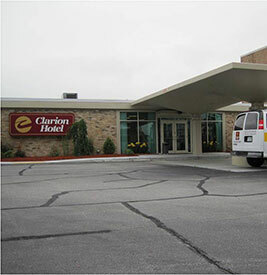 The MDC loan was the final financial piece needed to begin construction and renovations of the former Clarion Hotel into The Falls Center and La Quinta Inn and Suites. 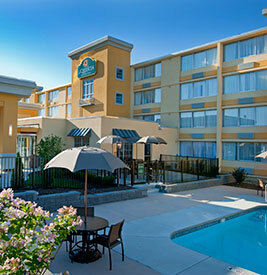 The four-story hotel features 115 rooms and a one-story adjoining building which will house a new restaurant along with 3,500-4,000 square feet of meeting and banquet space. 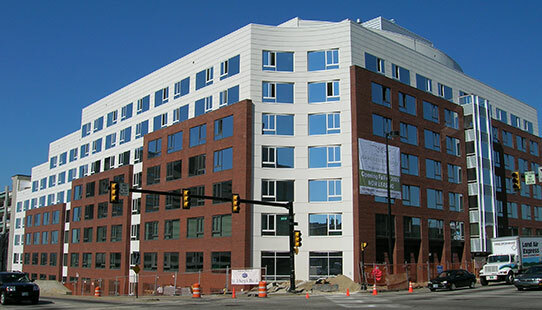 Originally purchased by the Greater Manchester Development Corporation, the parcel of land on the corner of Bridge St and Elm St was sold in 2004 to Manchester Place LLC for the development and construction of a 200-unit market rate apartment building and an attached 300 car parking garage. 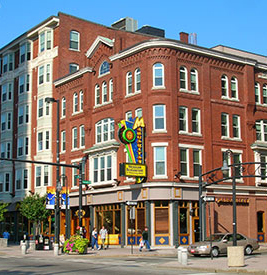 Since opening in 2004, the Residence at Manchester Place has seen an occupancy rate of 95% or higher and laid the groundwork for further development of rental units in downtown Manchester. In 2010, MDC purchased the former site of the Raphael Social Club. Located on the corner of Granite St and Second St, this parcel of land is a gateway into downtown Manchester and the intent of the purchase was to ensure the development on the lot would be in the best interest of the City and spur further development in the surrounding area. The Granite Street Lot has been developed into Giorgio's Ristorante. Opened in 2016, Giorgio's offers Greek and Italian cuisine in a 200-seat setting in one of Manchester's main gateways.